Barcelona returned to training on Monday after Saturday’s 2-2 La Liga draw with Valencia, as they prepare for Wednesday’s Copa del Rey clash against Real Madrid. 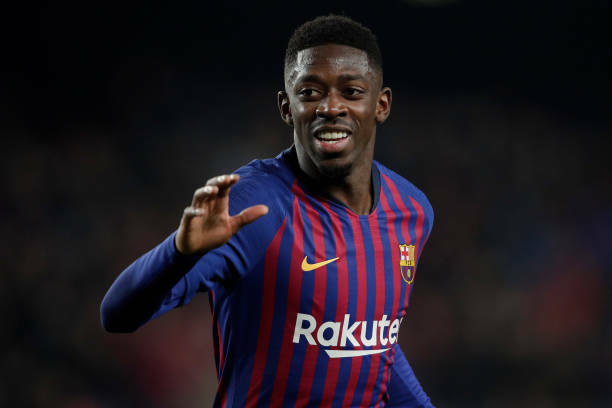 Ousmane Dembele was back for the first time since spraining his ankle against Leganes and did “fieldwork,” amid reports he’s still suffering from tonsillitis. Meanwhile, Lionel Messi did not take part in the session, and it’s still unclear how serious the knock he took against Valencia is. As it stands it looks as though both men are big doubts for Wednesday’s game at the Camp Nou, but we’ll keep you posted with any updates as soon as they land.